I believe that there is a great transfer of wealth and resources coming into the hands of the righteous who have laid down their lives to fulfilled God’s will and to see all glory given to Him. This is to ALL who have surrendered in whatever role the Lord has placed you in to be His representative. I see resources, land and finances being transferred and being prepared to be transferred even now. I also believe that there is about to be a great influx of sons and daughters (prodigals) returning home along with the eyes of those who have never walked with the Lord being open. Last, I see a great visitation of the Lord that is about to come upon prisons. I see angelic visitations for those in prison that will be like Saul’s conversion to Paul. These visitations will bring immediate and sudden deliverance from demonic strongholds and tormenting spirits that have kept these men and women enslaved. The hardest of the hard will become the softest hearts of all. 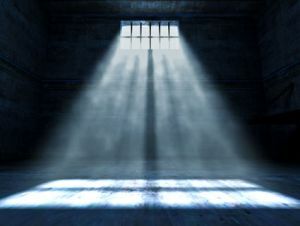 Prisoners will be ministering to the guards and they will both be free in Jesus. People will go to prisons to be set free. Agree with me in prayer for these things. As we agree with Heaven and humbles ourselves to pray; great things will be unleashed. This entry was tagged 2015, 5776, breakthrough, Deliverance, Encouragement, faith, freedom, Hope, Jubilee, kathipelton, Prophesy, wealth. Bookmark the permalink. Lord – we say THANK YOU that you do have abundance to shower your children with. You do want to see prisoners and ALL set free from the things that bind. We come in agreement that ALL would know Your great love and redemption! Bless Kathi and her family and all those who have committed to serving you at great cost. We give You praise Lord for the many new things You are doing in this season! Glory to you Lord! !